The 2017 Nile River Festival was yuuuugggee! 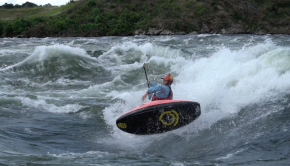 Not just in terms of stoke, but also with the biggest water levels and amount of competitors in recent memory. 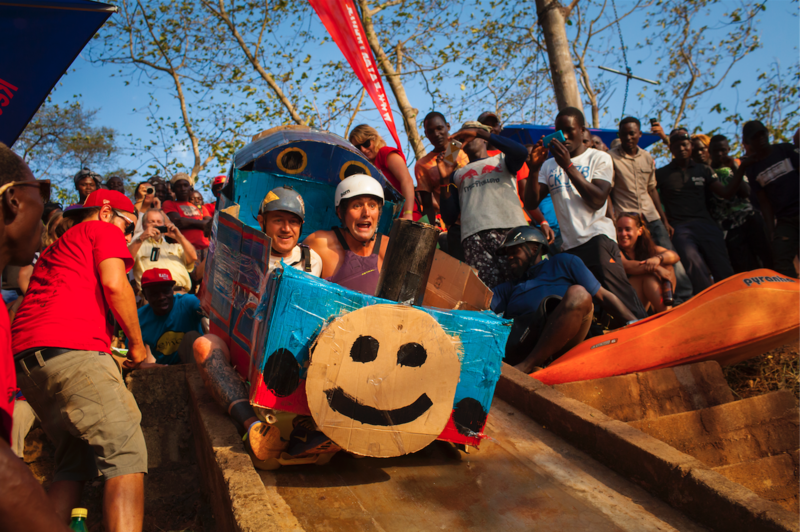 The festival brought together 72 boaters from at least fourteen countries for four days of high-level competition on the world’s longest river. 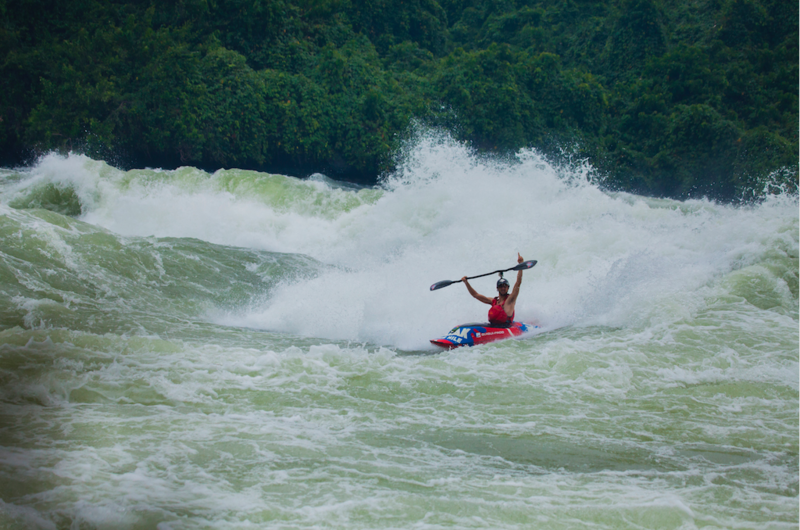 The Nile River Festival, organized by Kayak the Nile, has a little something-something for everyone. As veteran NRF competitor Lowri Davies noted, “There are many different events so you can choose what to get involved in at whichever level you want. If you are all about the good humor maybe the big ramp is your calling. 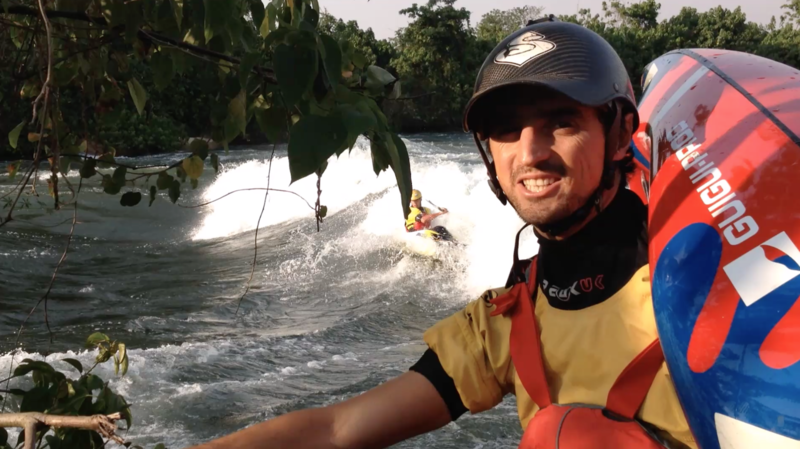 If you want to go paddling down the river with your mates or push yourself hard then the endurance race is good for that. Then the freestyle is just awesome and is completely different from any freestyle in the world because of the unique scoring system, which really encourages people to go for the biggest tricks they can.” This year organizers upped the ante with themed parties and competitions for non-paddlers as well, including freestyle sweepstakes, an ascot hat contest, and for photographers – the annual Ben Holland Memorial Photography Competition. 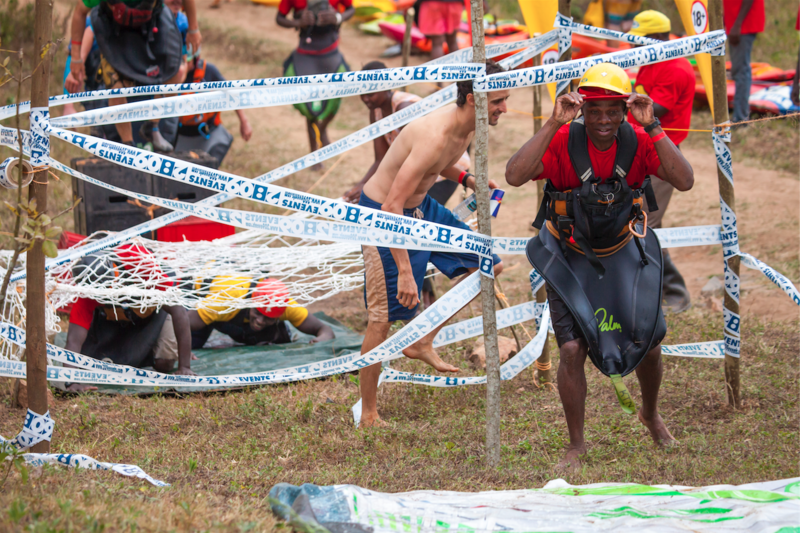 The festival kicked off with the Big Air Ramp at Nile River Explorers (NRE) with a mix of big aerial moves and inspired antics such as runs with a cardboard Thomas the Tank Engine, inflatable animal pool toys, and plenty of cross dressing. 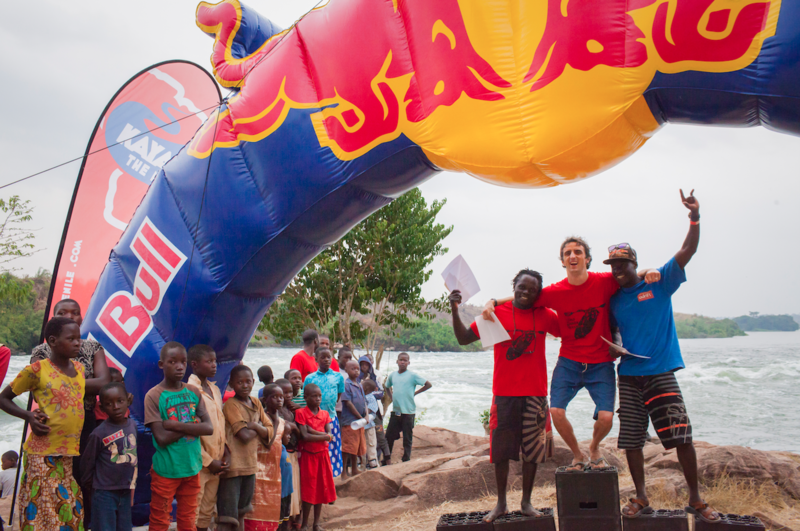 Ugandan kayaker Yusuf Basalirwa took the win with a beautiful blonde wig, bra, and balloon decorated boat, closely followed by Kayak the Nile owner Sam Ward styling it into second, and the reining African Freestyle Champion Sadat Kawawa taking a solid third in his fleece onesie. 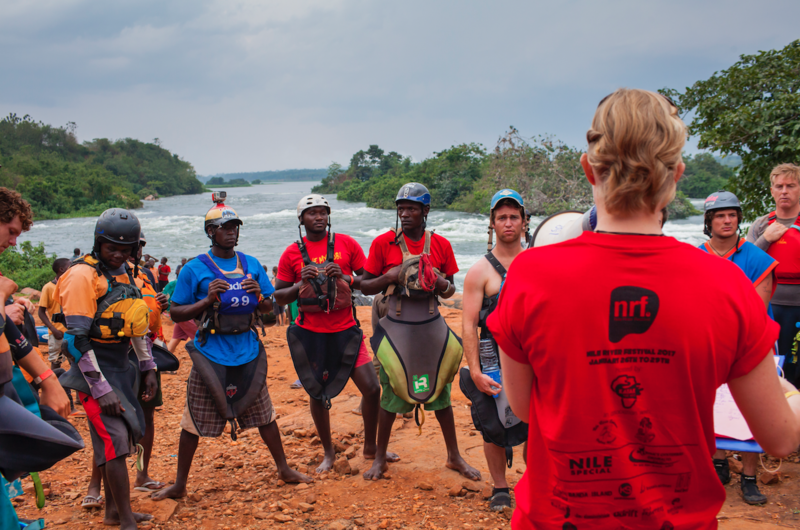 The next day was the world’s longest class V whitewater endurance race from the Bujagali dam all the way down past Nile Special and the Hairy Lemon to the NRE rafting take out. 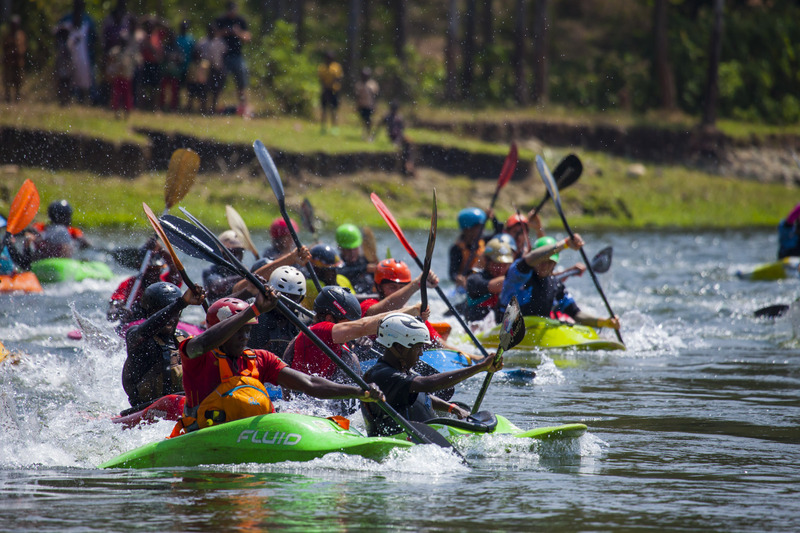 60 paddlers partnered up and took on the nine substantial rapids and many many miles of flat water over the 35km course beginning with a mass start. UK paddler Callum Strong told our team, “I have never been in a race like that before and I really enjoyed just smashing it for 2.5 hours trying to keep up with the guy in front of me.” As always, the race ended with an obstacle course and an obligatory funnel followed by a Princess and Pirates Party with many bearded ladies at the ever lovely Hairy Lemon Island. 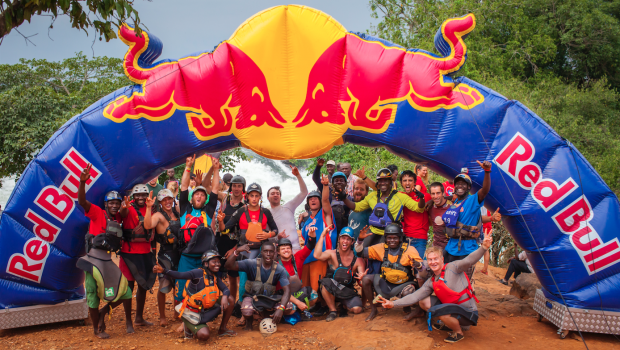 The race was won by defending champions Koa Mawazi and Jackson Lukoma who set a course record with a time of 2 hours 27 followed by Bren Orton with Yusuf Basalirwa in second and Sadat Kawawa and Sam Ward in third. It was a fierce race with the top four teams finishing within one minute of each other. 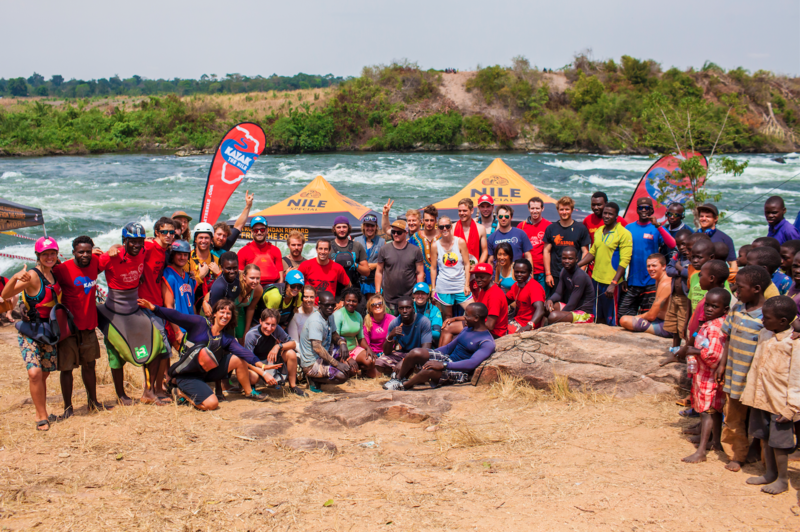 Out of the 11 female competitors, Ugandan paddlers Amina Tayona and Aminah Nakiirya took the win with a time of 2 hours 45 minutes followed by Christine Richter in second and Brooke Hess with Crista Wiles in third. 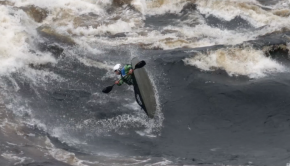 The final is judged purely based on style and wow factor as the top 5 paddlers throw tricks in holes that people generally try to avoid at all costs. Sam Ward came in first with impressive moves on some of the biggest features including two massive airscrews in the colossal Cuban. 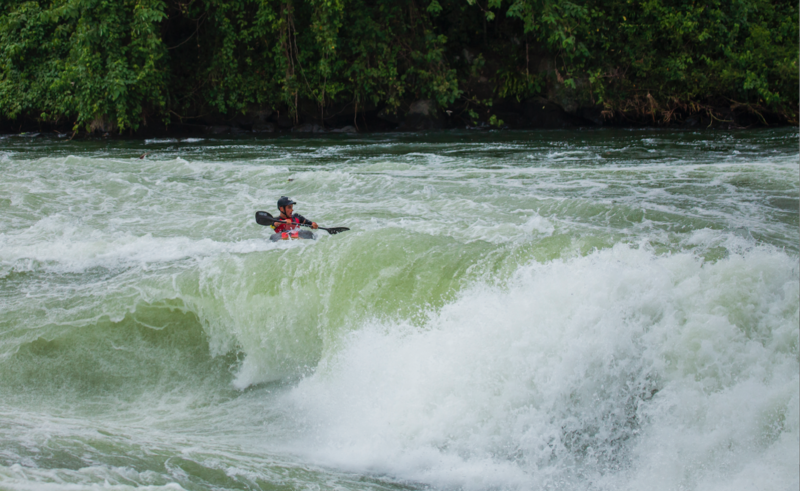 Yusuf Basalirwa also went big and came in second followed by visiting French kayaker Valentin Bernard in third. Sadat Kawawa deserves a special mention after his extended trashing in the Cuban after dropping in too far left to make it back out. 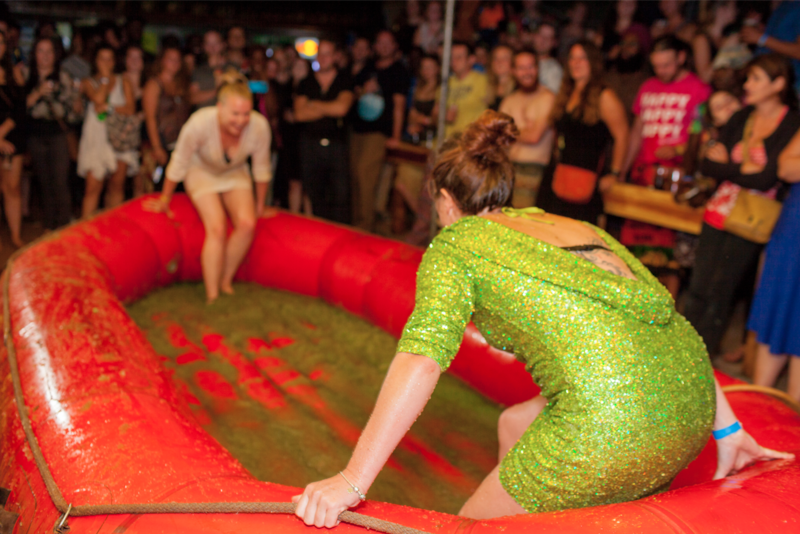 That night was the legendary NRF party at Nile River Explorers with live music, dancing on anything stable enough to stand on, jelly wrestling (including a naked Donald Trump), and general debauchery until paddlers remembered they still had to compete in the morning. 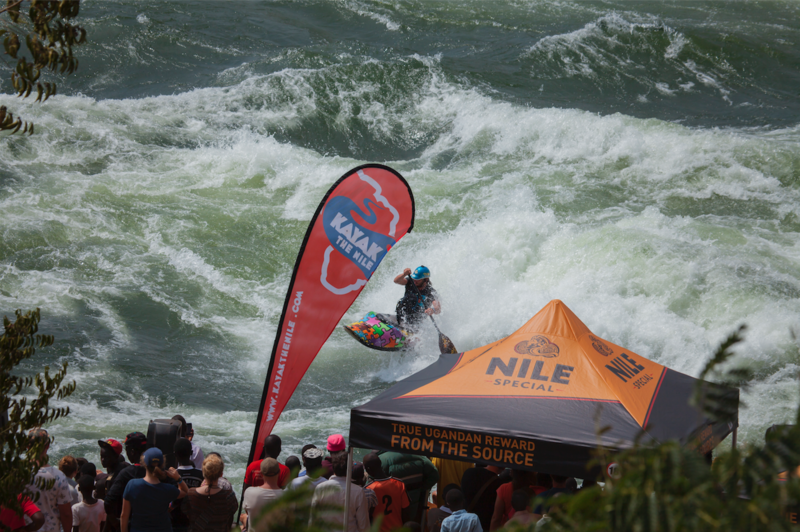 The festival wrapped up on the world-renowned Nile Special wave. 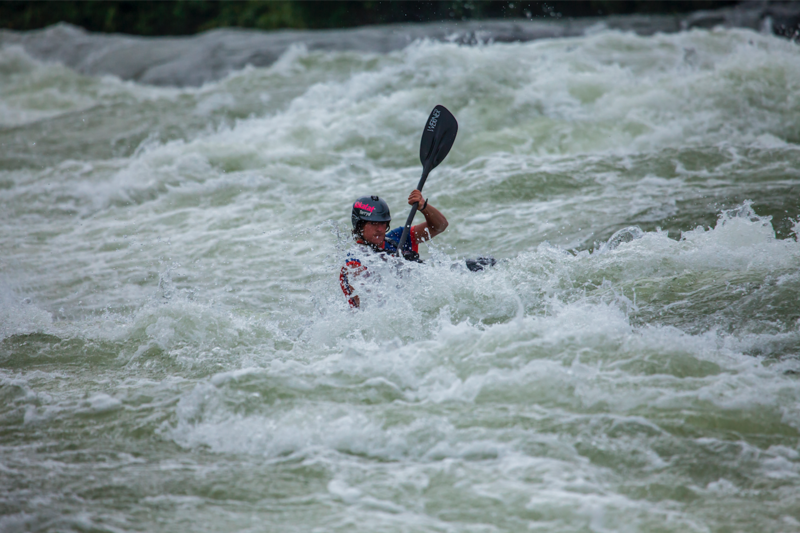 The tricky levels this year made the event exceptionally challenging for the 47 paddlers in the freestyle competition. 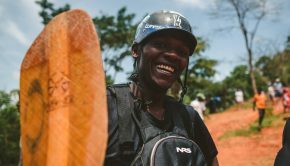 Ugandan freestyle team member Yusuf Basilwara told us that Nile Special was his favorite event, “So many guys came from all over the world it was a really serious competition at an international level. I did my best and came in fourth. 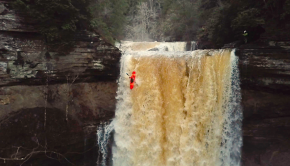 I’m really proud of it, and really enjoyed it.” Davies, who took the win in the women’s competition with a massive helix and airscrew said, “The freestyle was awesome. It was the most girls ever which is really cool so we had a legitimate qualifying heat and finals.” Sam Ward again led the podium for the freestyle followed by James Rowlinson all the way from Australia in second and fellow Brit Craig Ayres in third. Following Davies were American paddlers Brooke Hess and Jessie Stone for the women. 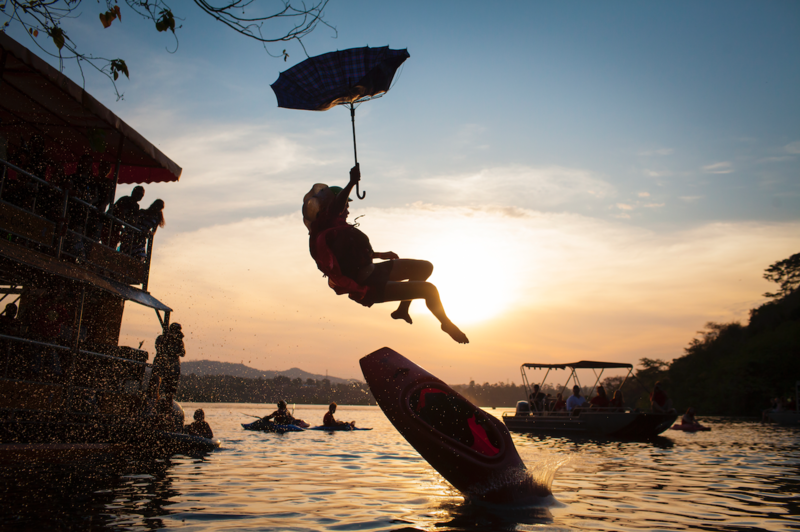 To summarize, the Nile River Festival gets better every year and 2017 was even more epic than last year. 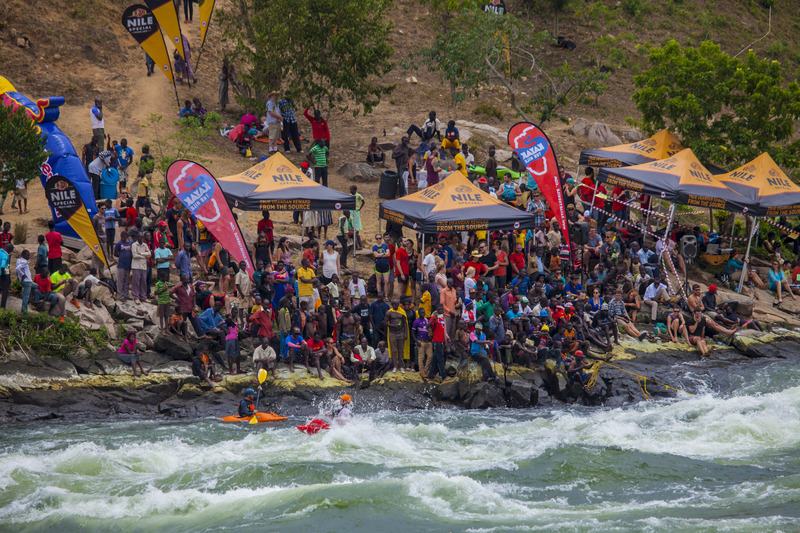 We want to thank all the competitors who came out and our main sponsors, most especially Nile Special Breweries, Mohan’s Oysterbay Drinks and Kayak Session, for helping make this event all that it is. 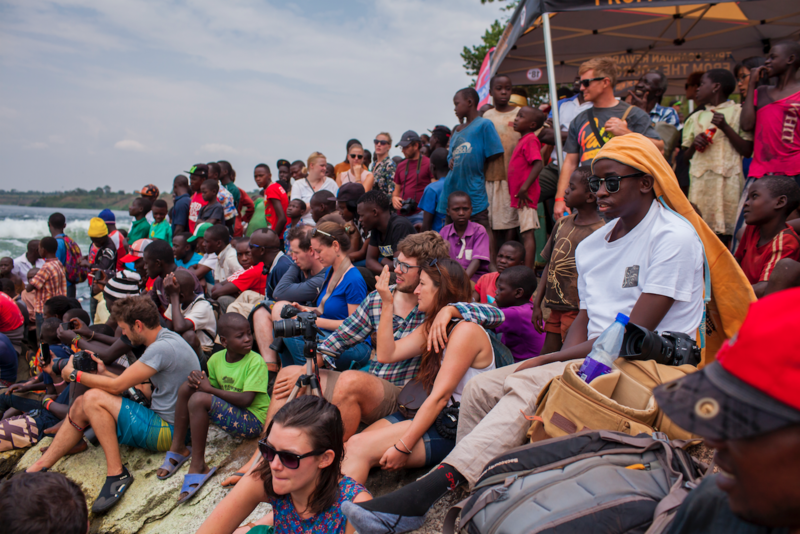 Next year will be the final year the Nile River Festival will take place in it’s current format due to the construction of the Isimba dam which is expected to be complete in May 2018. But do not despair! 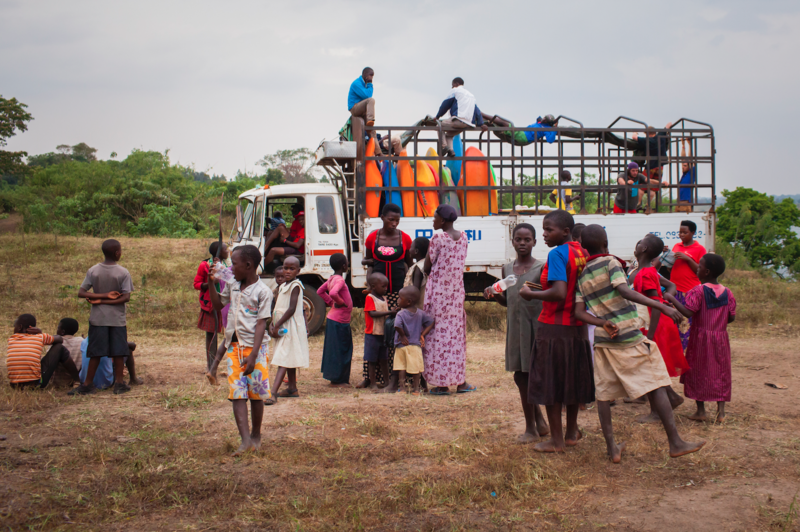 The competition will be adapted and WILL CONTINUE even after the dam is completed. 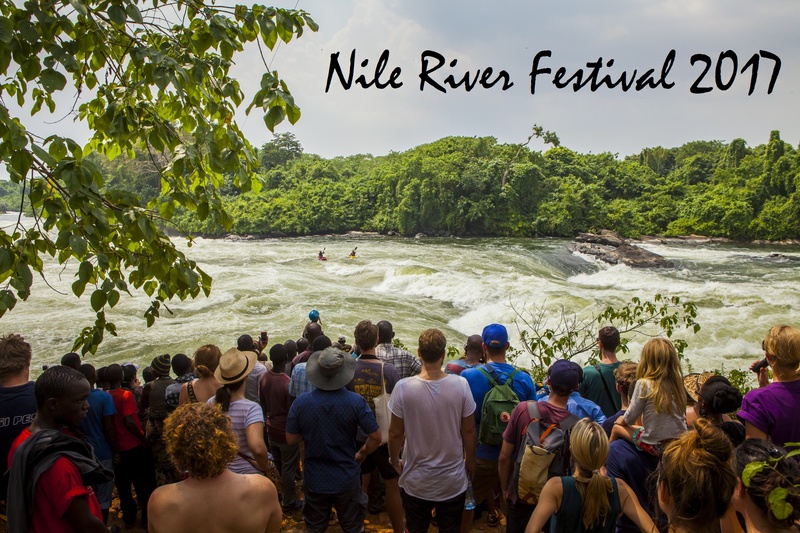 So mark your calendars for January 25-28th 2018 and be sure not to miss the glory that is the Nile River Festival!